…I don’t wanna be right. The words “second opinion” are like music to my ears. I’m a natural educator and, as such, I enjoy giving homeowners information they didn’t get from a competitor. In many cases I’m able to offer a more cost effective solution. And in some cases I get to prove my competitor wrong. I must admit that my inner imp loves proving the competition wrong. I heard those two melodious words today. 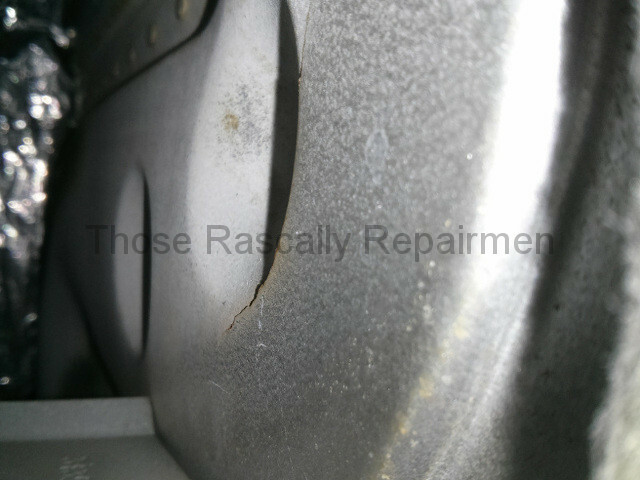 A homeowner had just received a diagnosis of a cracked heat exchanger. That’s an expensive diagnosis. The furnace is 21 years old. Most heat exchangers in this part of the country last longer than that, so my inner imp was intrigued. Then I heard that the diagnosis had come from the infamous Heroic Heating. Now the imp was giddy. 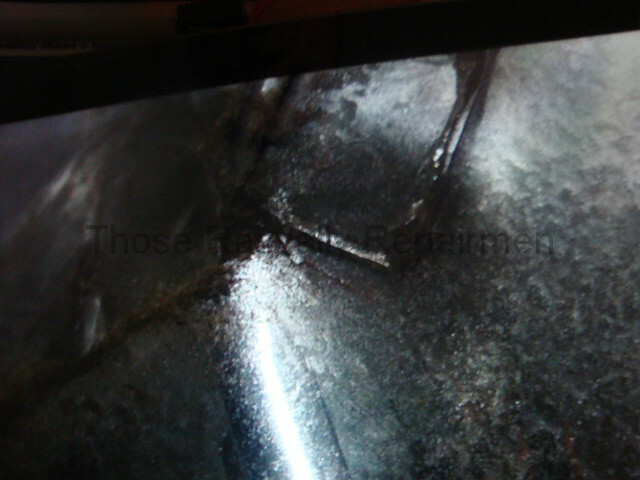 I showed up and saw that their repairman had marked the crack’s location. It’s unlikely he would’ve done that if the diagnosis wasn’t true. The imp was crestfallen. 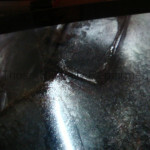 Then I inspected the furnace and saw that indeed, as pictured in the gallery below, the heat exchanger is cracked in at least two places. The imp cried aloud. Thankfully… wait a minute. Is being thankful for a second chance to make a competitor look bad some kind of schadenfreude? Hmm. I’ll save my psychological navel-gazing for later. Let’s just say that I got a second chance to help the homeowner in a way that my competitor would not. Namely, I’ve helped her stay warm while she shops for a furnace. Heroic’s repairman told the homeowner not to use the furnace because it could be dangerous. He warned her about carbon monoxide poisoning. 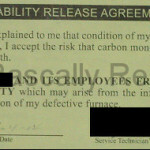 And he asked her to sign the liability release form pictured below. That left the homeowner very afraid to turn the heat on and, therefore, very cold. It also left her in a big hurry to buy a new furnace. That was certainly good news for Heroic. The bad news for the homeowner, besides being cold and needing to spend thousands, is that it’s easy to make a poor buying decision when under pressure. What their repairman didn’t tell her is that, while legally speaking the furnace is considered unsafe, practically speaking it will be fine for quite some time. In terms of function and safety, those hairline cracks just don’t matter. It’ll be years before they become a real problem. I did not tell her she could wait for years. I told her she should buy a new furnace as soon as possible. 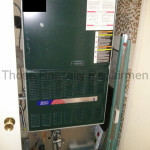 However, I also told her she could use the old furnace until a new one was installed. It’s running fine. Goodfella Furnaces, a former employer of mine, had a different way of applying pressure. 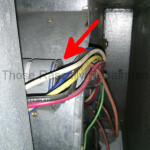 Rather than use a quasi-legal form, they’d disable a furnace with a cracked heat exchanger. That’s what the local utility company does, so that was their cover. The utility company can’t be blamed because they don’t know any better. A real tradesman, however, does know. That knowledge doesn’t seem to matter to Goodfella or Heroic. What matters to them is that a customer without heat is going to buy more quickly than one with heat. 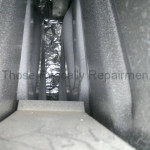 If your furnace has a cracked heat exchanger, do not assume what I’ve written about this furnace’s heat exchanger applies to your furnace’s heat exchanger. In other words, don’t apply someone else’s diagnosis and prognosis to your situation! You could die that way. Most repairmen say that giving homeowners the whole truth is too risky. Nevertheless, I treat customers like adults. I educate them and let them decide for themselves. I just don’t know any other way of doing business. If telling you the truth is wrong, I don’t wanna be right. Update I - Click here for more quasi-legal fun. 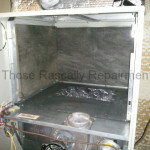 A few weeks later I was called to fix the furnace pictured below. 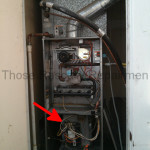 The problem with this furnace was a bad circuit board. 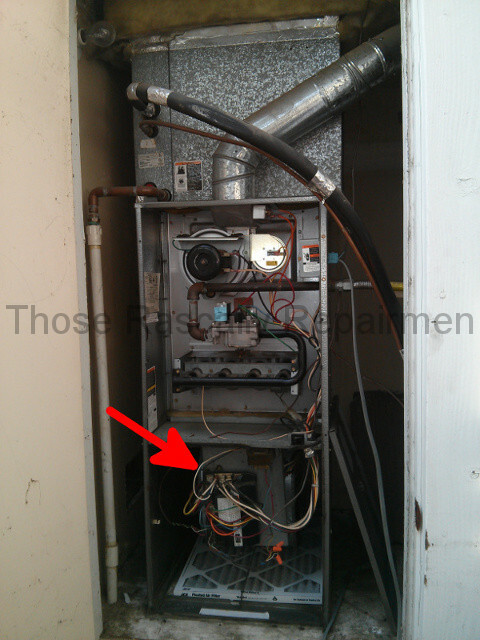 It just so happens that Heroic Heating performed a tune-up on this furnace a few months ago. They could not have prevented or predicted the circuit board failure when they performed the tune-up. However, what they could’ve done is the tune-up they were paid for. If they had, they would’ve noticed the weak capacitor. 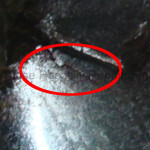 A weak capacitor can cause premature motor failure. 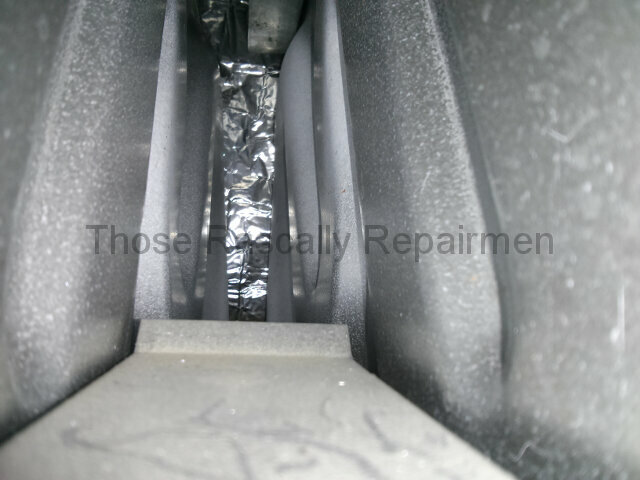 They also would’ve noticed this furnace’s cracked heat exchanger. We’ll never know for sure why Heroic Heating caught the first heat exchanger’s cracks but not the second heat exchanger’s cracks. Maybe their second repairman just wasn’t as attentive. Nevertheless, I find it interesting that the warranty on the first heat exchanger is expired while the warranty on the second heat exchanger has a year of its 20 year warranty left. 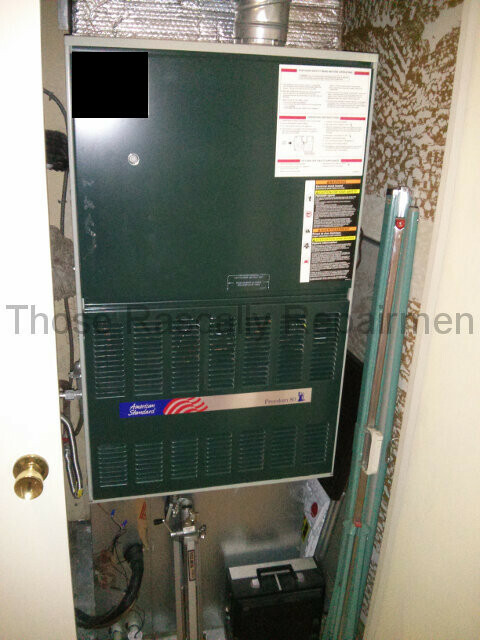 Once the warranty has expired, most homeowners choose to buy a new furnace. 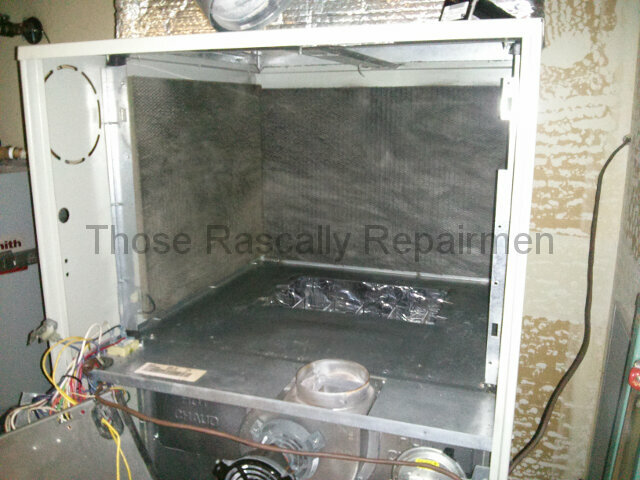 On the flip side, even though there’s labor to pay for, many homeowners choose to replace a heat exchanger that’s still under warranty. Most repairmen don’t like that. 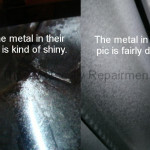 There’s additional paperwork and no markup on a part that’s covered by a warranty. 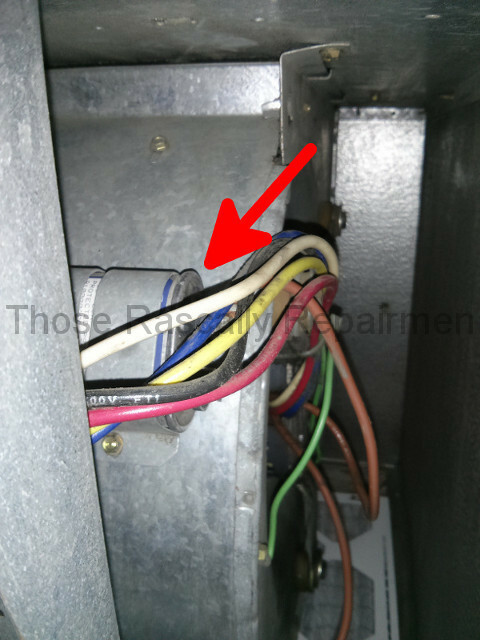 There’s plenty of markup on a brand new furnace. 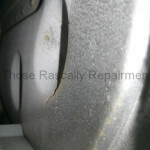 I can’t help but wonder if unHeroic would have caught the second heat exchanger’s cracks on the next tune-up. You know… the tune-up that would have happened after the warranty had expired. Update II - Click here for more quasi-ethical everything. Two months after the first update, I was called to give a second opinion on this furnace. 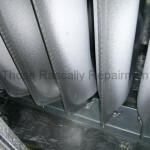 Once again Heroic Heating diagnosed a cracked heat exchanger. 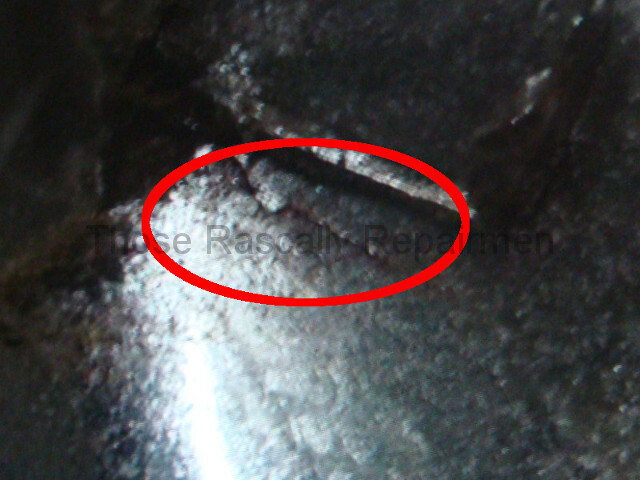 According to the pictured invoice, this one has “several cracks”. And once again they issued their official warning of imminent death and destruction. The harbinger of this impending peril? It’s pictured below. See it? No? Let me blow that up for you. Pretty scary, huh? Of course it is not, but I still had to see if I could find it. So I pulled the blower assembly and looked down at the heat exchanger. 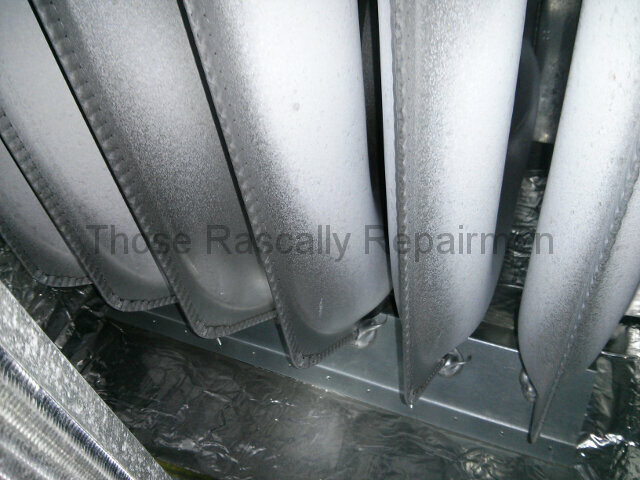 Then I removed the cooling coil’s cover and looked up at the heat exchanger. I just couldn’t find any of the “several cracks”. 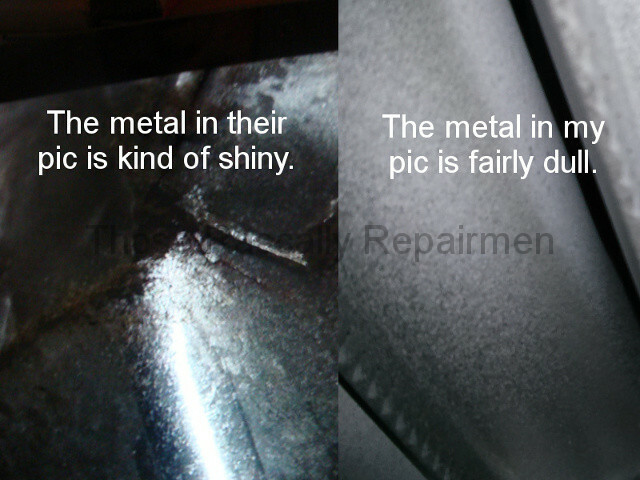 I couldn’t even find metal that’s as shiny as the metal in the picture they gave the homeowner. Despite my doubts, it’s still possible that their picture of some furnace’s heat exchanger is indeed a picture of this furnace’s heat exchanger. But even if it is, that infinitesimal crack is utterly meaningless. It’s less a harbinger of doom and more a harbinger of high pressure sales tactics. As is so often the case, this quasi-queasy and highly questionable diagnosis came while they were performing some version of a tune-up special.